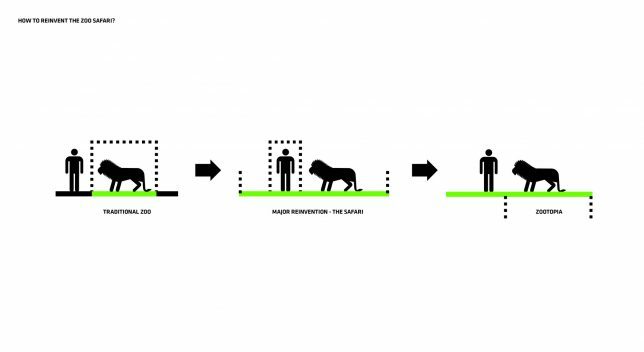 Historically, zoos have been both productive and problematic for the animals they house, in some cases advocating for and publicizing real issues faced by species but also criticized for locking them up in inadequate captive conditions. 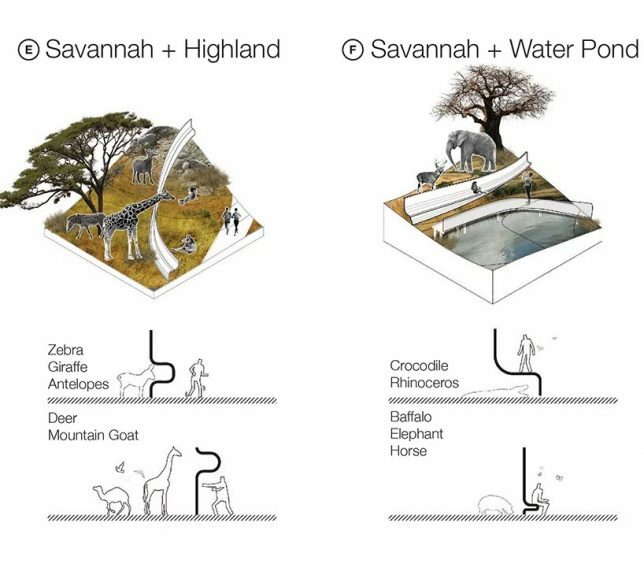 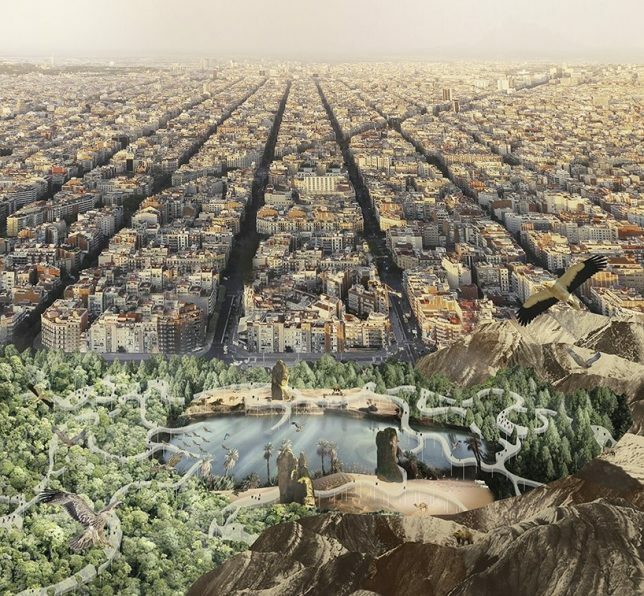 Designers from dozens of countries submitted fresh ideas to the Coexist: Rethinking Zoos architecture competition, pitching non-intrusive paths, virtual exhibits and, above all, keeping the health and wellbeing of animals in mind as well as scientific learning and public education. 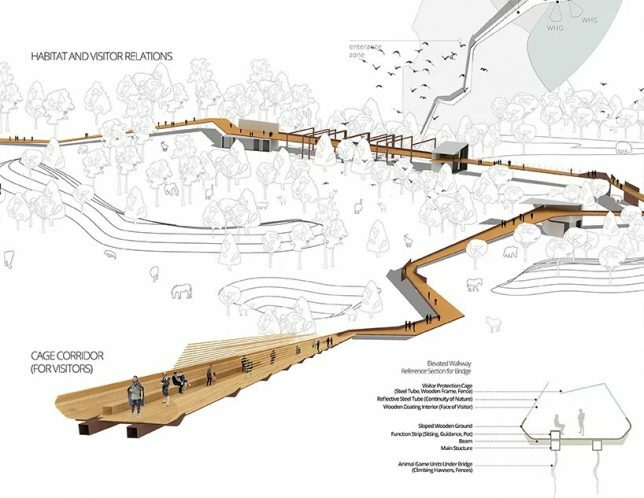 The winning proposal integrates its zoo into the fabric of the surrounding city rather than isolating it as a standalone institution. 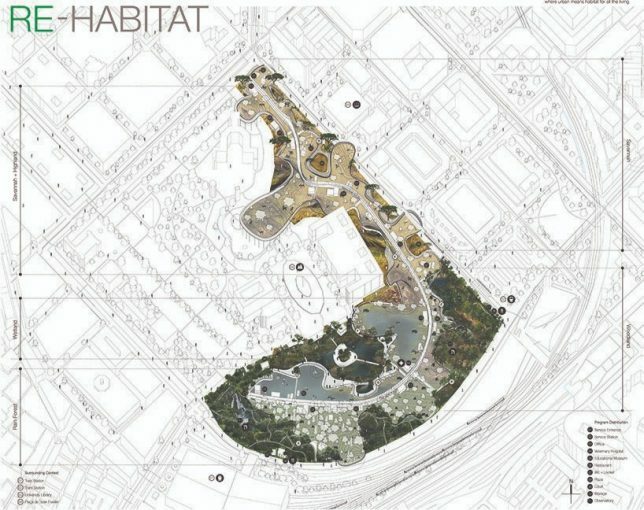 Instead of fencing animals in a park, it stretches out to form more natural and organic environments. 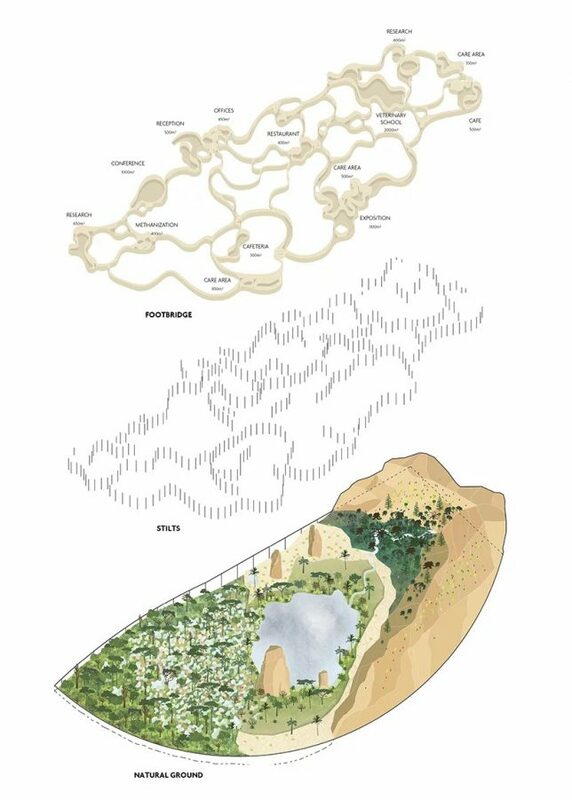 It also rethinkings the kinds of interfaces and edge conditions that can and should exist between humans and various species. 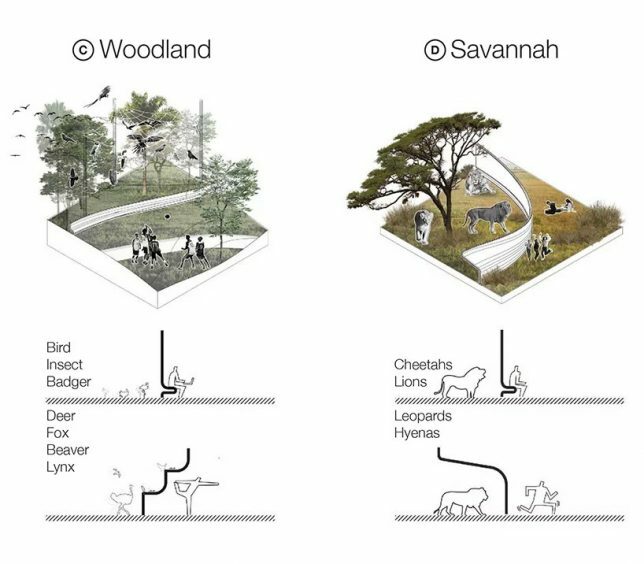 In various entries, the basic relationship of observer and observed is challenged, giving visitors different windows into the lives of animals while also seeking to provide inhabitants with better places to live, play and interact. 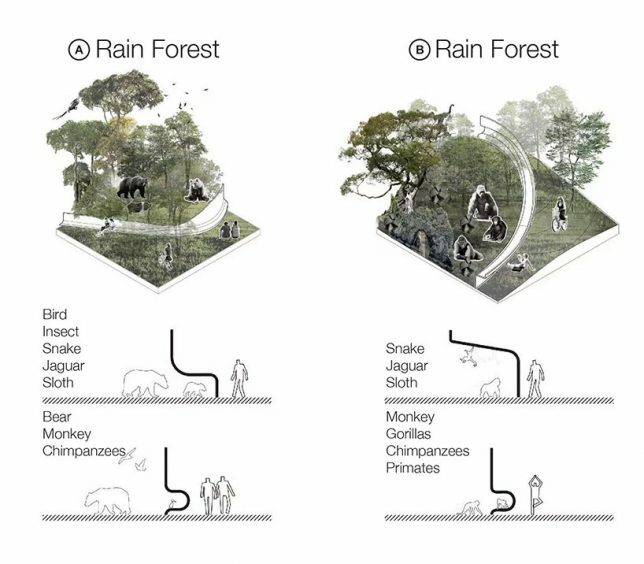 These strategies also recall an inverted zoo design proposed by BIG in which animals surround humans (rather than the other way around). 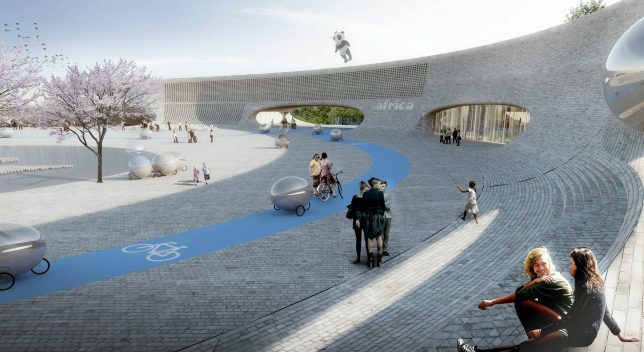 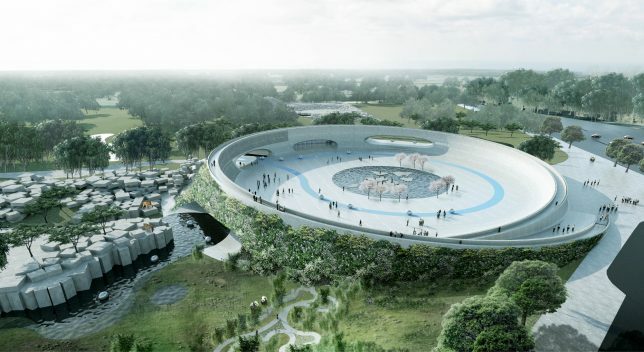 And while there may not be a one-size-fits all solution to the problems posed by zoos, at least some designers are beginning to rethink the question of the role and function from the ground up.